Researchers speculated that a substance in mother’s milk might be responsible for the state of relaxation newborns experience after nursing. This inspired the discovery of Zylkene, a unique milk-derived protein, alpha-casozepine, with proven calming properties. Alpha-casozepine promotes a sense of relaxation and contentment. 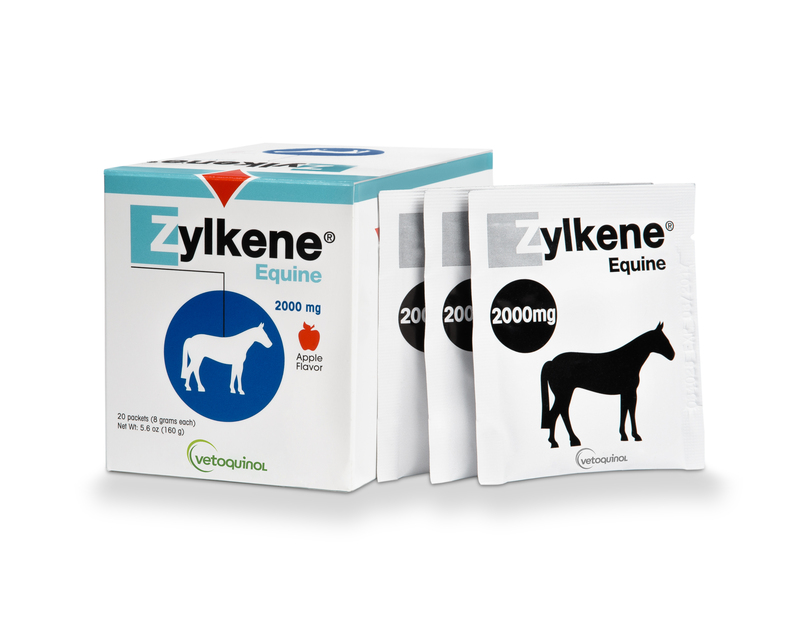 Each Zylkene Equine packet contains 36mg of Alpha-Casozepine in an apple-flavored powder.